To Dare is To Do. So proclaimed the tifo from the glistening stands of Tottenham Hotspur’s new stadium as the hosts and Manchester City warmed up for the Champions League quarter-final. By the end of the match, only Spurs had taken the message to heart. City put in a clumsy performance, at odds with its dominant self. The subdued display stood out, its contrast with a Spurs side that played football with relentless energy and desire unmissable. Last season, Pep Guardiola’s tactical plan collapsed at Anfield as Liverpool romped to a 3-0 win at home in the first leg of their Champions League quarter-final. Faced with another English side at the same stage, the manager chose a most familiar system this time but his key personnel like Sergio Aguero, Riyad Mahrez, and David Silva were unable to assert their rich attributes on the pitch. By the end of the night, both Leroy Sane’s direct running and Kevin de Bruyne’s eye for a pass were sorely missed. The duo was on the bench until the 90th minute. Instead, it was Mauricio Pochettino who was able to extract more out of his Spurs players. Harry Kane’s departure after a strong challenge by Fabian Delph left the host edgy ten minutes into the second half. However, through the introduction of Lucas Moura, Pochettino ensured that his team’s vigorous football continued to ask questions of City. The matchup between these two sides has been largely in favour of the current English champion. 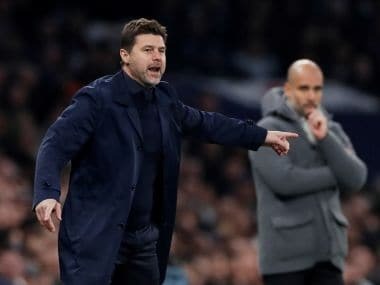 Spurs had not beaten City in any of their last four meetings; the north London club’s recent form inspired no confidence either – just two wins in last seven games. But Tottenham’s belated return to its refurbished home stadium has brought a change of mood to the camp. It was noisy and cheery all evening on Tuesday. In such a passionate environment, City played its football at a sedate tempo. Recently, Guardiola seems to prefer a more conservative approach that relies on the team’s quality to grow into the game. But so dull were the beginnings on Tuesday night that nobody from City even cared to appeal for a penalty when Raheem Sterling’s shot hit Danny Rose’s arm. Referee Bjorn Kuipers was informed of this transgression, in line with the letter of the rules if not its spirit, by officials hunched over a television screen. After a tiresome few minutes that have become par for the course since the advent of VAR — especially when handball calls are reviewed — a penalty was awarded to City. You watch enough replays in slow-motion and your eyes will make you believe that the hand was in an unnatural position. So it happened in this case. The travesty of the call was mitigated by Aguero’s weak spot kick as it was confidently palmed away by Spurs goalie Hugo Lloris. Incidentally, it was the third straight penalty saved by the French custodian – Jamie Vardy, Pierre-Emerick Aubameyang, and now Aguero. Spurs responded to the dramatic phase with more resolve, ensuring that City did not have a clear sight of the goal again. The host’s high press, though, caused problems for the visitors and they nearly gave the ball away in their own box on one occasion. But the quick tempo of the game did not yield many clear-cut chances. This situation suited City as it could finally feel its way into the contest. The visitors waited for their moment until the second half, unlike past Guardiola teams that may have been a bit too earnest in forcing the issue. But strangely enough, Spurs got the only goal of the night just when City was threatening to push ahead. Pochettino’s players had been mindful of the importance of the first goal, and it showed in their desire, if not their quality. The moment of disruption arrived when Christian Eriksen found Heung-min Son free in the box. Initially, it seemed the Korean had run the ball out. But Son did well to keep it in and in the ensuing confusion, he had enough time to turn back and shoot the ball under goalkeeper Ederson. 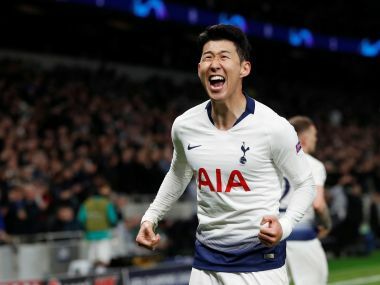 Like the first game at the new stadium, Son had put Spurs ahead. City were rattled, Spurs soared. A Champions League campaign that looked set to end in the group stage can now transport Tottenham to a place the club has never been before. City will probably still start as the favourite in the second leg but Guardiola may want to play his best eleven next Wednesday. In the face of Spurs’ impressive organisation, it was obvious from the opening exchanges that de Bruyne could play a decisive role. But we did not see him until the very end. Tuesday belonged to Pochettino and his method. It was not that he came up with a new tactical plan. Instead, his players were able to perform their designated roles with utmost discipline and clarity. Even Kane’s departure did not affect their focus. 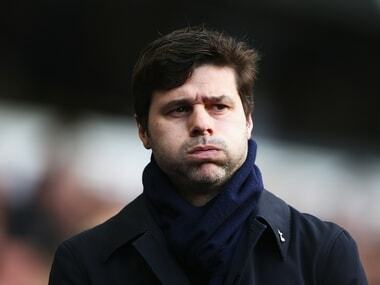 If the striker is absent for a while, Spurs will probably struggle to cope in the coming days. But there should be no room for despair. The victory over City can work as a charm as the new stadium builds hope and dreams for Spurs.